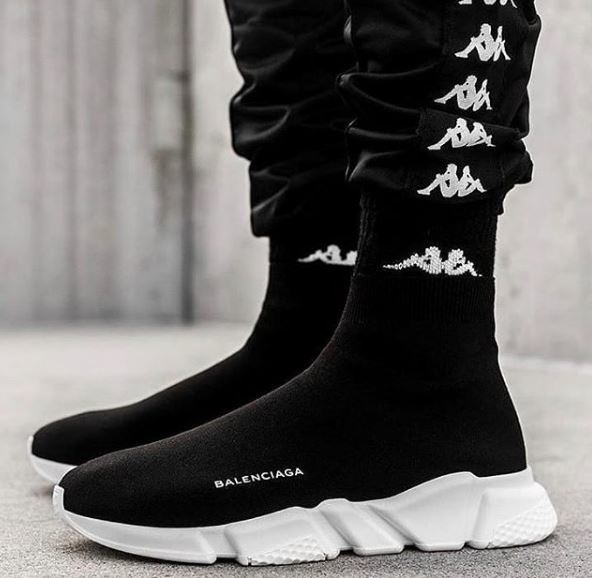 Sock sneakers are one of the coolest trends that have hit 2018. Just as when you think clothes couldn't get any cooler, we're hit with a bomb. We've had sock heels and now have sock sneakers. Sock sneakers are sneakers made with a thick sock material. When worn, these sneakers hug the foot and ankle depending on how high/long the 'sock' is. These sneakers are quite popular in black but there are other colours surfacing. They also are popular in an ankle high top sneaker. Both men are women can rock these sneakers. You can pair these sneakers with a trendy tracksuit or a figure hugging dress. 25-31 - 295€ #balenciagakids #socksneakers #trendyshoes #christmasshopping #worldwideshipping #???????????????????? ?